The Civitas Lessons on Democracy are K-12 lessons developed by civic educators in the United States and other nations. This policy brief features ideas and examples of government and civil society collaboration to develop civic education policy. Civic Voices is a virtual classroom for comparative civics developed by the Civitas Russia and Civitas Eurasia partnerships. Project Citizen and Human Rights is a set of Spanish-language curricular and teacher training materials developed by Civitas Latin America partners. Co-operation Ireland developed the Civic-Link curricular program to enhance reconciliation efforts in Northern Ireland and the Republic of Ireland. The Africa Lessons teach students about the history, culture, and democracies of countries in West Africa. Active Classroom was developed by the Civitas Russia partnership as a practical guide for teachers who want to structure their civics classrooms as active learning environments. The Comparative Lessons on Democracy actively engage high school students in comparative analyses of the emerging democracies in Central and Eastern Europe. 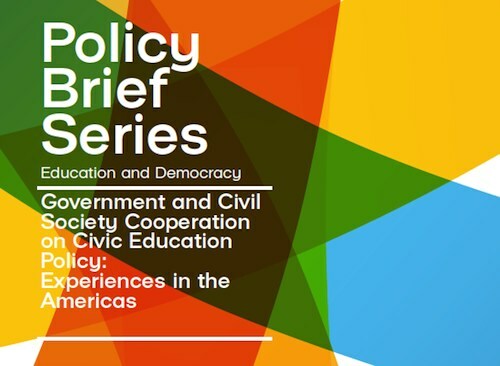 A report on civic education in the Latin America region (in Spanish).